I really need to practice other styles of fishing other than pole fishing. It’s my first port of call whenever I go to most venues. I find it allows for greater presentation, a concentrated feed area and usually a bit of fun. I also prefer watching a float to watching a tip, but that means that a lot of my other fishing skills have gone to rust. Feeder or straight lead fishing is something I do in the winter or when targeting specific species and conventional waggler fishing is something that rarely gets a look in at all. 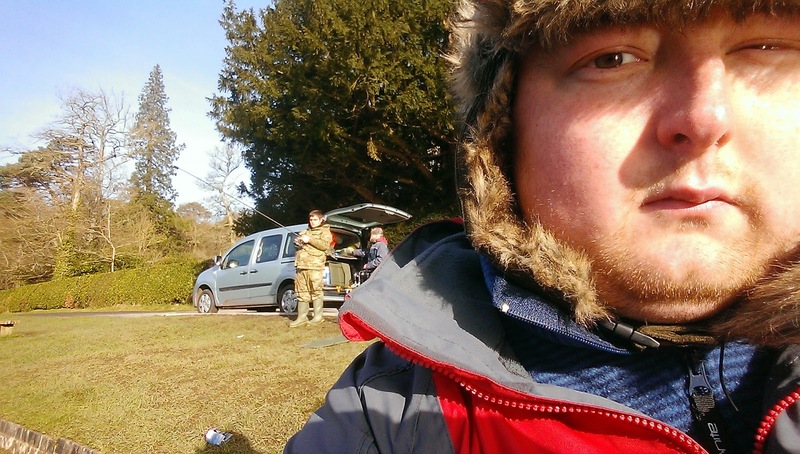 This has to change, and with reports that Shearwater Lake was putting out big bags of Bream despite the freezing conditions this presented the perfect opportunity to ditch the pole and give rod and line an airing. I find the idea of fishing new venues exciting, and the prospect of a day on the Feeder and Slider float meant I was one giddy kipper going to sleep Friday night – A kid at Christmas comes to mind. It was going to be an early start, but arriving at the lake just before 8, and to be greeted by this view meant I wasn’t disappointed. · 13′ Feeder Rod – Drennan Medium cage feeder (which I upped to Large halfway through) – 6lb Reflo, 3lb 6oz Powerline hooklength on a B911 Size 16. 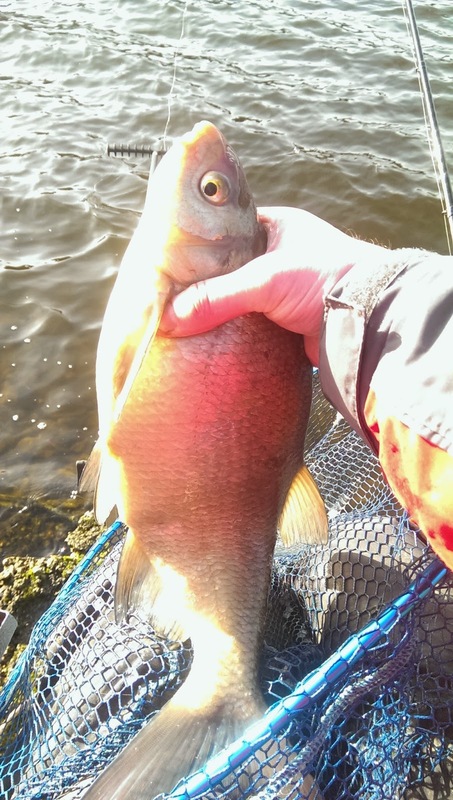 · 14′ Float rod – 4lb Maxima Chameleon, semi cocked 3AAA + 5AAA bodied waggler, 3lb hook length. 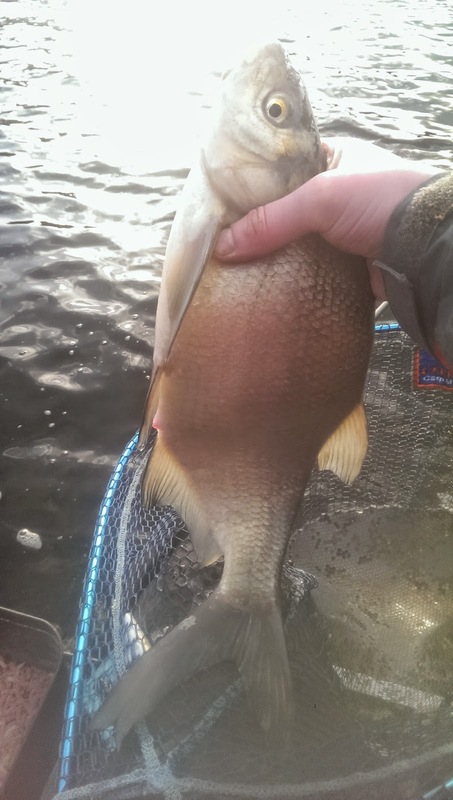 I’d mixed up a 2kg of groundbait consisting of 1/3 Bait Tech Pro Dark, 1/3 Brown Crumb, 1/3 Micro Pellets, and after I gave it a second dampening (with it being so deep I wanted to feed to stay full until it hit the bottom), filled the feeder and cast towards my marker. I put out 7-8 feeders worth before attaching the hooklength (using double red maggot) and would like to say it was instant action, but, I missed my first 2 bites! The only indication was that the maggots were well and truly munched on inspection. With an hour gone and a substantial bed of bait out there, the tip registered a bite which I hit. The rod curled around and I was into my first fish of the day. I couldn’t believe my luck when I got it in the net. A slab, which tipped the scales at just over 6lb, an instant PB for me! The second fish came soon after, another chunk of a fish pushing 5lb. It seemed as though the fish would move around every 10 – 15 minutes, as that’s how long the bites were taking. The wind had started to blow into my face and by 11.30 I was regretting not having a target board. The glare on the water meant watching for bites was getting difficult, so I repositioned the rod closer to the bank so I could get a better view. I switched to half a worm and had a belter of a bite, but the fish had simply ripped the end off the worm, missing the hook entirely! I had caught 5 (and missed another 4) when around midday I was visited by a carp angler. After a brief discussion about how I’d been doing, and how in the summer he’d caught his PB for the very spot I was fishing (that should have been the hint) he walked off. 10 minutes later and he was setting up his gear closer than 10 yards away. This 37 acre lake and he started fishing within sneezing distance… I was not impressed (you may be able to tell). I soldiered on and caught another 3 fish on the feeder, before my earlier hastiness came and bit me in the bum. Not doubling up my mainline and increasing the feeder size meant I was putting a lot of pressure through my rig. On my last cast the feeder hit the clip, and instead of the expected “plop”, I heard “crack!” My feeder continued for another 5-10 yards past the feeding zone. Bugger! I had been contemplating a switch to the slider for a few hours practice, it seemed as though this was a sign. I checked my earlier plumbing on the slider (it was around 19ft) and balled in 7 cricket ball sized lumps of feed. One thing I had learnt from the feeder was, the more you put in, the more you get out. I cast out the second feeder rod while the slider swim settled, but after 10 minutes and no bites I wound in, leaving the feeder rod for the rest of the day. I was a bit nervous to start – having not fished the slider for years. To be honest I expected tangle after tangle, but feathering the cast meant I didn’t get one! It wasn’t too long before the float slipped under and I was into my first fish on the slider. 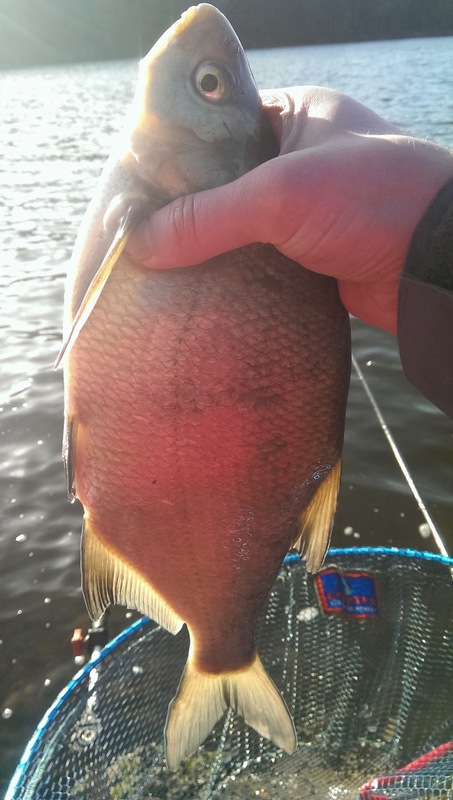 A bream of around 2 ½lb. 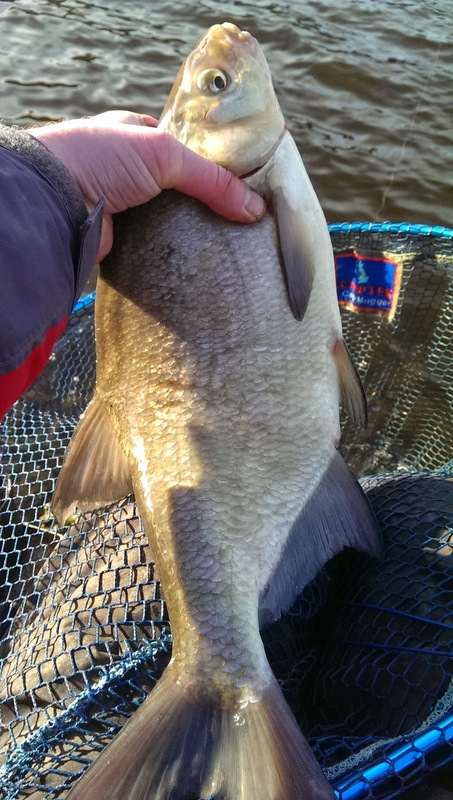 I have never fished a venue with such a massive head of big bream. It was unbelievable. The next fish came after 10 minutes, 3rd after a further 15. I was putting a ball of groundbait in every 5 – 7 minutes and this meant the fish were kept interested. Despite trying Pellets, Casters, Worm, Pinkies and Corn, the only thing that kept the fish coming was double red maggot. I’d eaten my way through my sandwiches and by 3:30 I was considering packing away when the carp angler (mentioned earlier) was catapulting bait in while standing less than a meter away from me. I asked him if he’d like to “cast my rod as well?” At which point he retreated back a few paces, but I couldn’t get over the lack of fishing etiquette. Thinking Tackle has a lot to answer for. I called it day after having 8 fish on the feeder and 7 on the slider. The size and quality of the fish was absolutely staggering. The smallest fish I landed was 2 ½lb and the biggest was just over 6lb with an average stamp of fish being around 3 ½ – 4lb. It was a great day and after speaking to a few other anglers, the warmer it gets, the better the fishing. I cannot wait to return in the summer, but will probably return a long time before then. Access to Shearwater Lake was a bit of an enigma, I was told several different variations on how to get to the venue, what gates to go through and where to park, but found that on the day it was a doddle! Approaching from the Crockerton side I was amazed to see that a lot of bank swims were already taken by Carp anglers despite the time and temperature. I continued down Clay Street turning left at the tea rooms. This road runs along the entire length of the dam wall and continues around the lake. 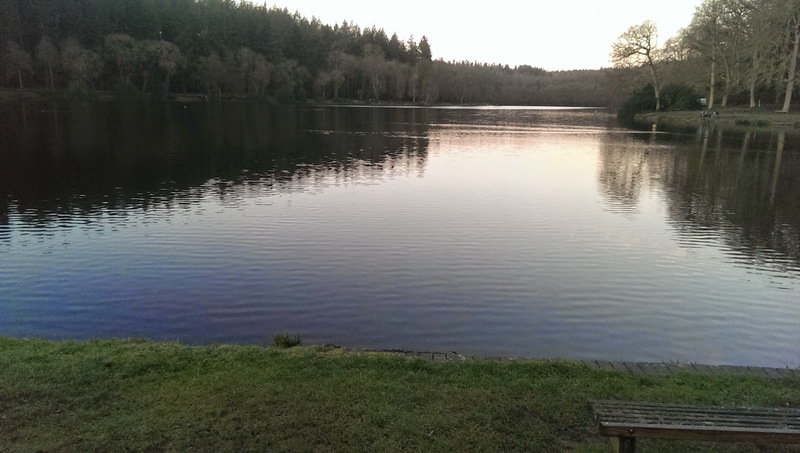 You can park right behind your peg which is great news for disabled anglers, and with such a head of fish it is definitely a “must visit” venue. I was really disappointed that I didn’t use my keepnet (despite bringing it), it would have been good to see my overall weight for the day. My only gripe (which was my own fault, for not reading the website correctly) was the cost – £10. Feels like us anglers are lining Lord Bath’s pocket! That being said, I would not hesitate to go back, and now I know a little more on how fish the place I would aim to catch a few more! 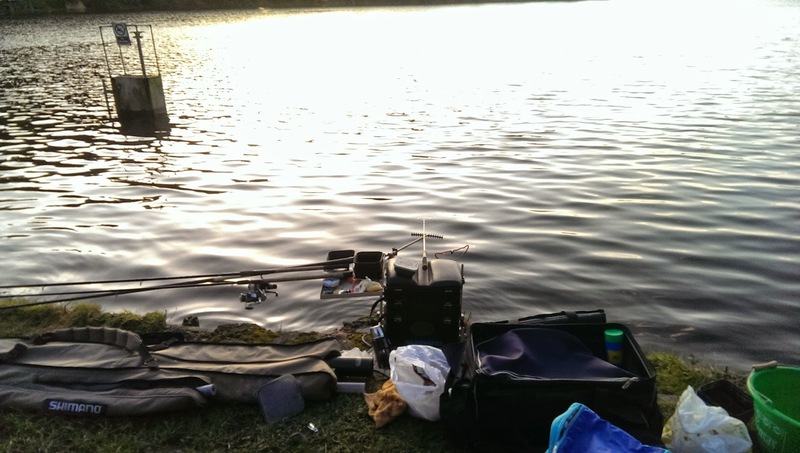 Fishability – ****1/2 – Great venue, beautiful scenery and most importantly full of fish! Accessibility – ****1/2 – Despite my initial concerns it was easy to access and very easy to find, despite the kamikaze pheasants trying to waylay me on the roads in. Disabled Access – **** 1/2 – A tarmaced road and flat banks make this a very disabled friendly venue. 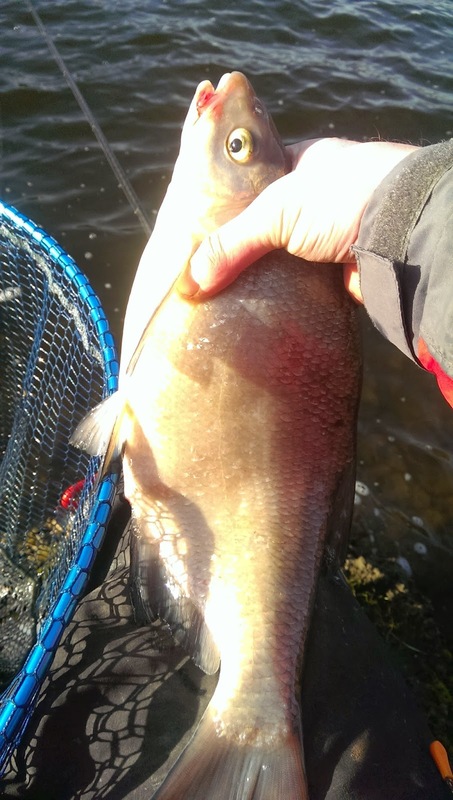 Trip #6 – Canal wanderings for Wily Perch! No keepnets or carp sacks. Yep, one of reasons I didn't use the keepnet. I found out on the day (sadly, didn't scroll down far enough the first time), although they will allow it for matches. Previous story How to attach elastic to an elastic connector.